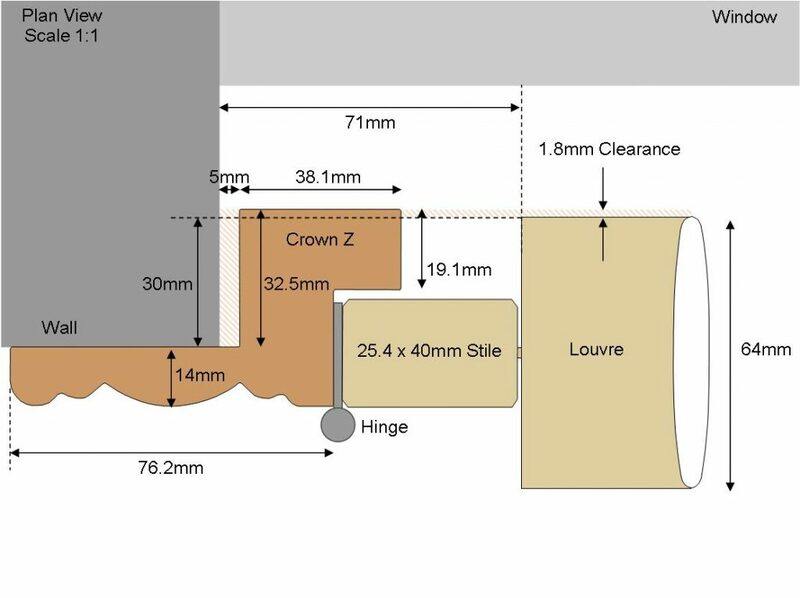 The Crown Z frame is the widest and most decorative of the Z frames available with a large overhang of 54mm excluding any fitting clearance. Available in small 46mm or the deep 60mm frame with side fix option, so ideal to use with D1 fixings. 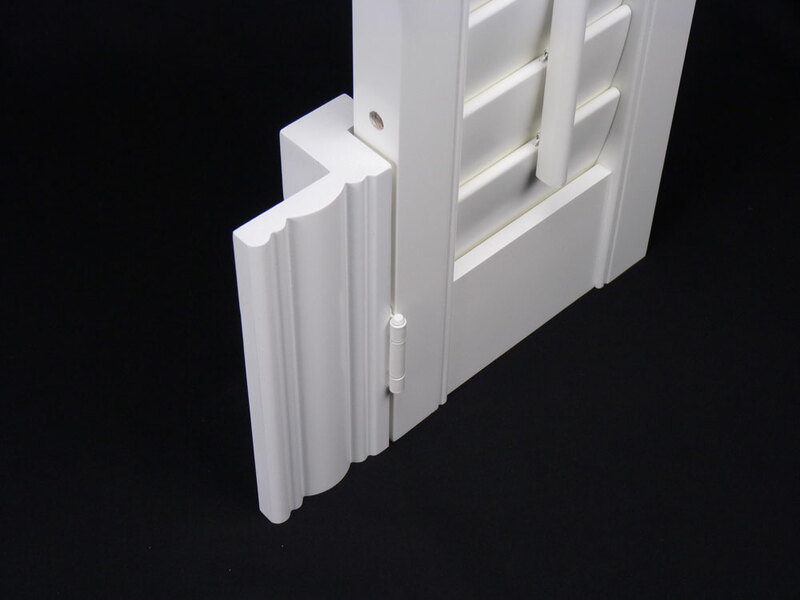 The Crown Z frame will allow your shutters to be folded back around the wall if you want to have them open. 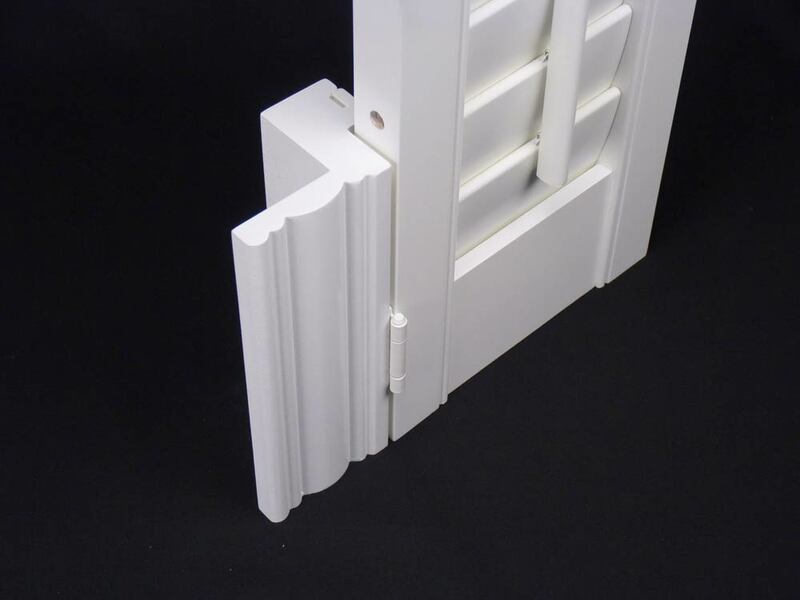 They are an ideal frame if your window is really out of level because the large Z overhang will hide and covers any gaps. 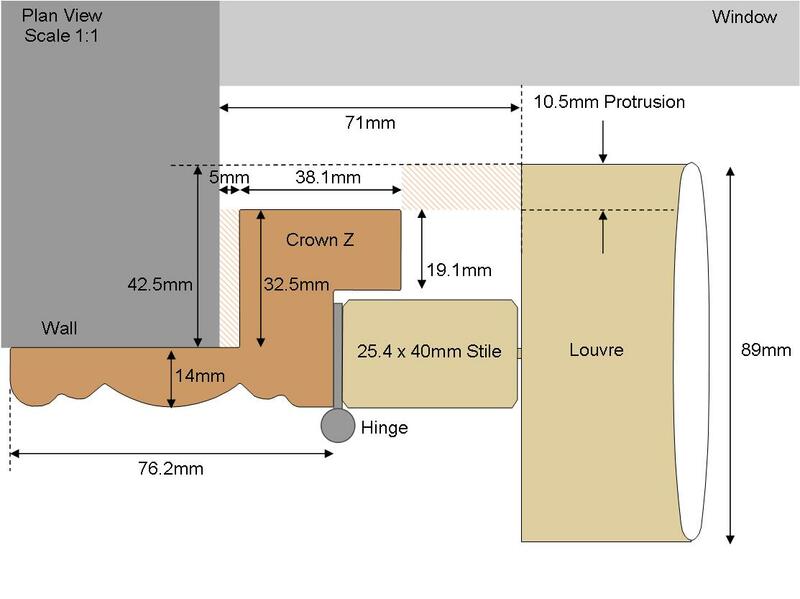 FIXING – The Crown Z frames can all be used with D1 fixings or you can use packers and fix with screws. SHADOW TAPE – Shadow tape can be used to reduce light creeping around the edge of the frame. FITTING CLEARANCE – The deduction required will depend on the squareness of the window, remember there is a 1.6mm size tolerance when ordering frames, so you need at least 2mm clearance to ensure the frame fits within your recess. As the Crown Z has a large overhang, you can afford to allow more fitting clearance. We would recommend deducting at least 4mm on square windows. 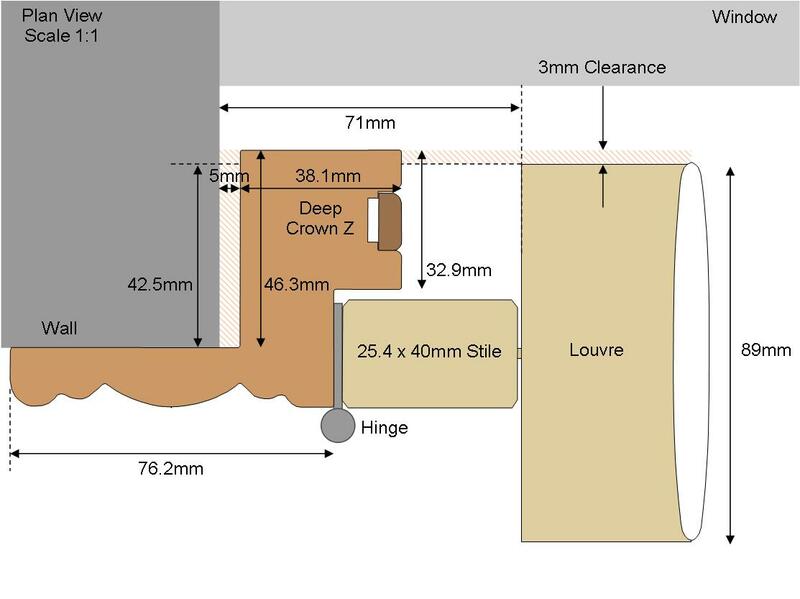 FRAME LOUVRE CLEARANCE – Here are the louvre clearance sizes for the different frames and main louvre sizes.